More and more in today’s society, women are taking charge of their future and becoming the business titans that, for so many decades, were known only to be men. The owners of Lazer Ladies, sisters Cindy and Marylou, are no exception to this wave of strong, independent women paving their way into the world of business. 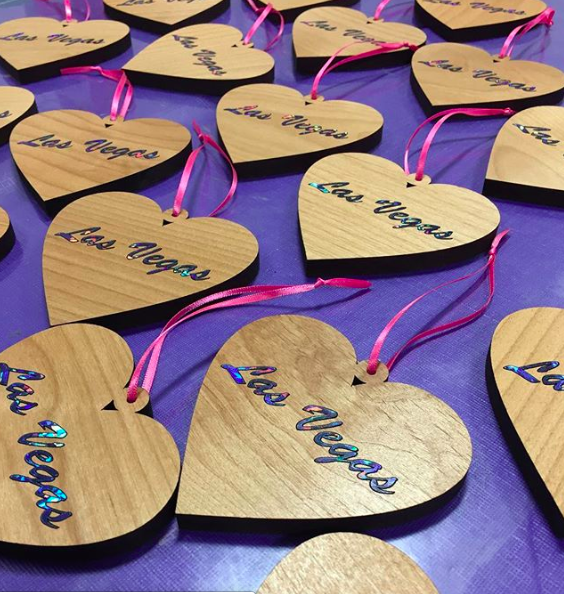 Their company, Lazer Ladies, specializes in providing personalized laser-engraved gifts and awards for meaningful events. Originally started in their two-car garage, Lazer Ladies has now grown into a successful business celebrating its 12 year anniversary. The Lazer Ladies standing next to one of their laser engraved trophies. Although neither Cindy nor Marylou had experience in business when they started Lazer Ladies in 2007, both women are well versed in hard work and determination. Marylou has a Bachelor’s degree in Biology from UC Irvine and a Master’s in Business from the University of Las Vegas. She was also an U.S. Air Force officer for eight years before being stationed in Las Vegas. Cindy is currently earning her Bachelor’s degree in business from the University of Las Vegas as well, all while helping her sister run the company. As with any business start-up, the journey to success doesn’t come without its challenges. 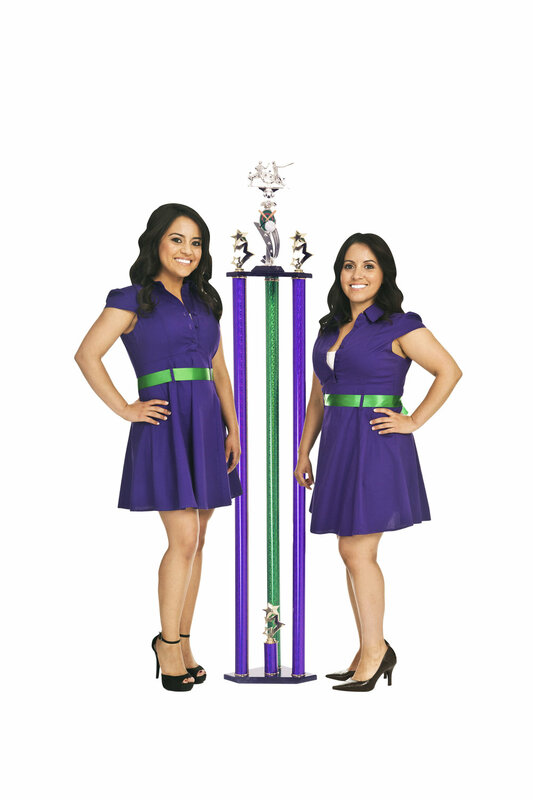 When Cindy and Marylou first created Lazer Ladies in 2007, the recession hit immediately after. All of their savings and income went back into the business and the sisters were forced to live off of very little. It took them three years, but they were finally able to recover and start earning a profit from all the hard work they were putting in. Some of the amazing work that Lazer Ladies does. In addition to the recession, Cindy and Marylou have faced struggles with people underestimating them. Whether it’s because of their size (Cindy 4 feet 11 inches and Marylou 4 feet 8 inches), their gender or their presence in a male-dominated industry, the women have come across all sorts of people undermining their role as businesswomen. Both ladies don’t let these encounters stop them by any means. Instead, they use it as an opportunity to educate those individuals on who they are and what they have accomplished. It is important to remember that being a woman is a beautiful and empowering experience. We have our own traits or superpowers, if you will, that make us strong. Cindy and Marylou embrace their womanhood in many different ways. They overcome every obstacle put in their path by listening to their gut instinct and trusting it. They embrace their uniqueness as women in the male-dominated field of laser engraving, and do it all in heels. Their resilience got them through the recession and will carry them through any future adversity that comes their way. Follow the Lazer Ladies for more information and inspiration!